Welcome to winter! 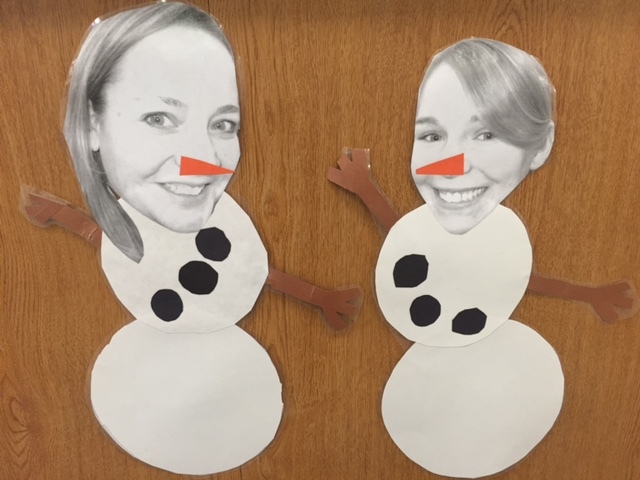 A colleague took photos of our entire staff and turned us into snowpeople, so we proudly displayed ours on the circulation desk. 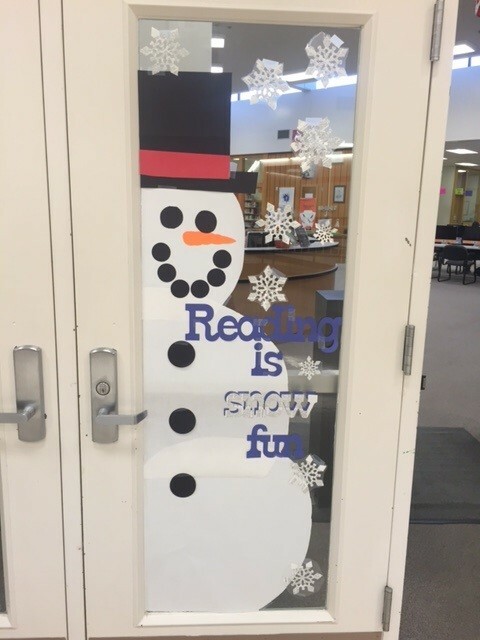 We decorated the door with a snowman and lots of snowflakes cut out of old books. 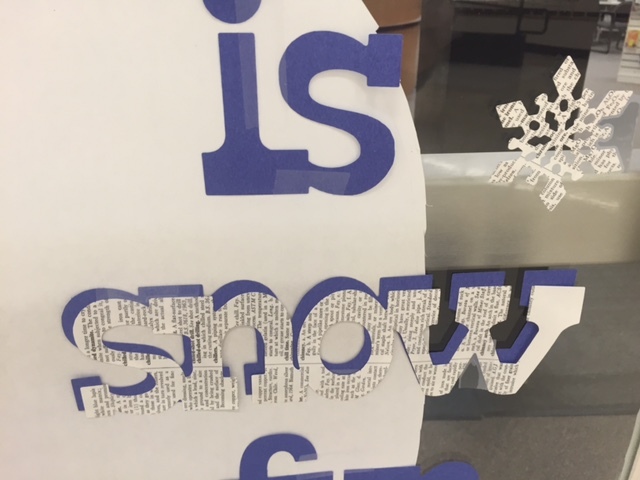 If you look closely you can see the snowflakes are covered with words. Inside the library, we did our best to create a fireplace out of books. 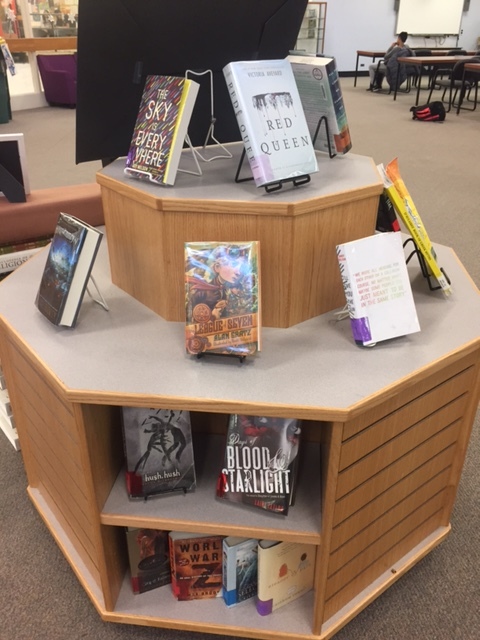 The display was full of our most popular books, but it was hard to keep full. Kids kept checking them all out! 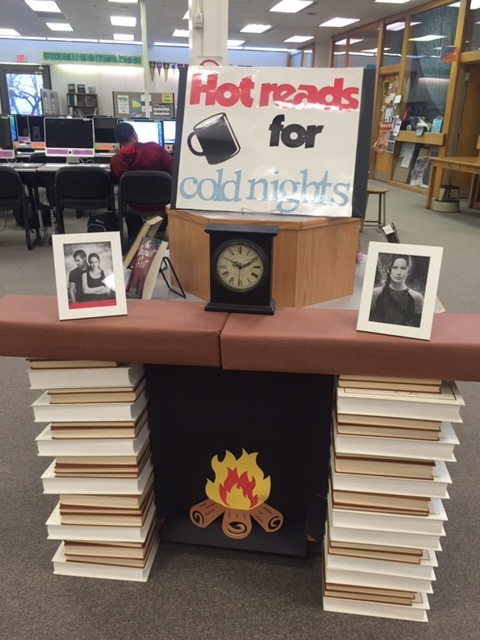 They really were “Hot Reads for Cold Nights”!